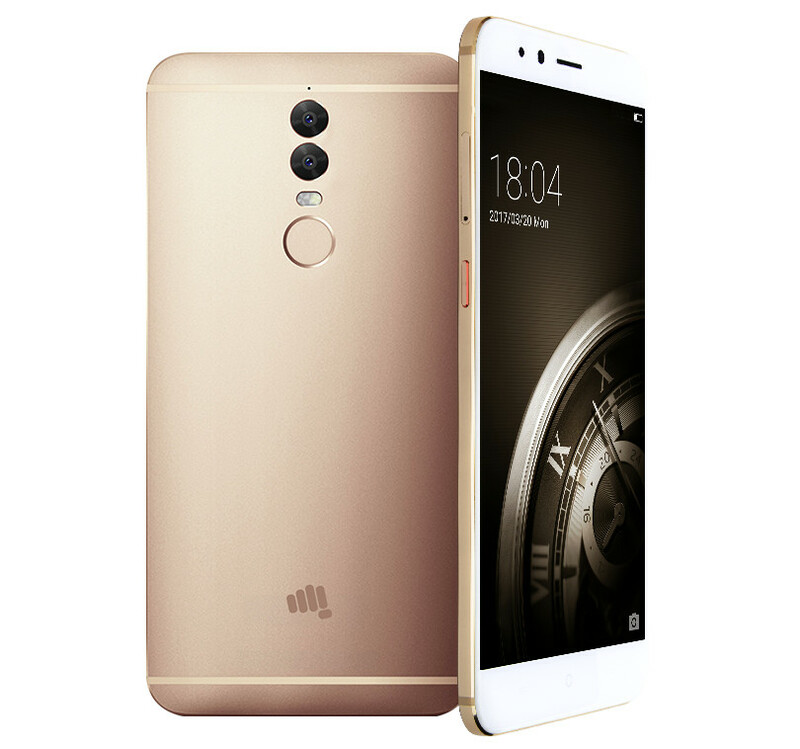 Micromax has launched its First Dual-Cam premium flagship device - Dual 5. This new flagship from Micromax comes with a special feature and its Dual Primary Camera. 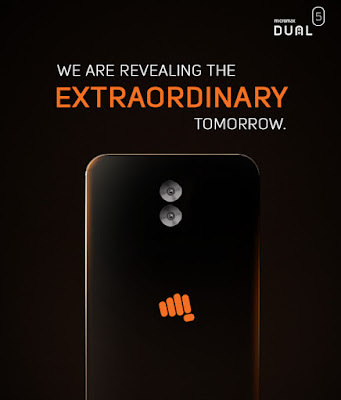 This Smartphone handset is the first of the Micromax Dual Series. This handset features 13MP + 13MP Dual Primary camera with SONY sensor and Dual LED Flash. Micromax claims that it is built from a single slab of Aircraft Grade Aluminium. Micromax Dual 5 has 5.5 inches 1080p Full High Definition Super AMOLED with Gorilla Glass 3 protection 2.5D curved Display. It has a powerful 933mHz Qualcomm Snapdragon 652 MSM8976 SoC (4Cores clocked at 1.8Ghz + 4Cores at 1.4Ghz) 64Bit processor. It packs a 4GB of DDR4 RAM with a huge storage capacity of 128GB that could be further expanded upto 128GB more space via MicroSD Card. Micromax Dual 5 smartphone comes with a specialty of a Dual 13MP Primary cameras on its rear panel with Sony IMX-258 Sensors, one camera for RGB colors and another one camera is for Monochrome processing at F/1.8 Aperture speed. Micromax provides a color temperature sensor to optimally merge two captured images simultaneously. And this feature helps to elaborate the color and depth of the images. It also has Low Light Mode, Bokeh Mode, AntiHaze, Slow Shutter, Pano Pro, Monochrome and Macro. It has the capability to capture 4K UHD resolution video and with its dual cam feature the Micromax also claims that it has the 3D video feature in it. 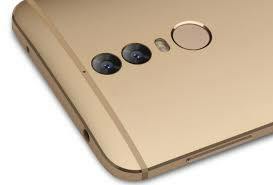 It also packs a 13MP Front selfie camera with 1.12 Microm Pixel Sony IMX-258 Sensor with F/2.0 Aperture speed. It also features a soft selfie flash module and it includes other features like Gesture Control, Integrated Smart Beauty Mode and GIF Maker. This Smartphone runs on Android Marshmallow v6.0. Dual 5 handset has special features like it comes with a 3D Antenna Technology that keeps antenna on its metal frame and it also has a Panic Button feature that can be uses with the Power button by triple clicks on it. For connectivity it features Bluetooth v4.1, Wifi, 4G VoLTE, 3.5mm Audio Jack and a USB Type-C. 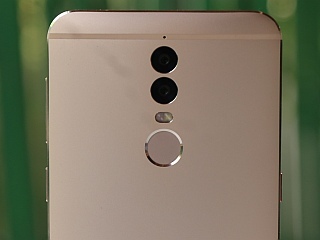 It also includes sensors like Ambient Light Sensor, Accelerometer, Gyroscope Sensor, Infrared Sensor, Proximity Sensor and a 360Degree Angle fast sensing Fingerprint Sensor that can sense with a 0.2seconds speed. 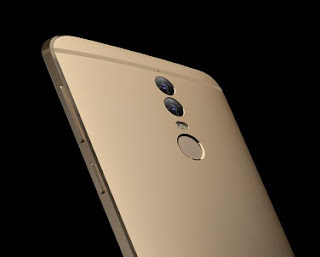 It also has Secure Vault feature to protect user data that can be locked and unlocked through its fingerprint sensor. It uses EAL5+ Military Grade Security feature. Micromax claims that it has a SafeSwitch Security feature in it that helps to secure data when it lost or upon theft. If someone pulled its SIM card out of the phone and the password is not entered within 30seconds the handset gets locked completely even its buttons stops working. Even it can not be turned off and it will allows for tracking of the Smartphone. And secondly if the password is not entered after 60minutes of SIM ejection the whole data will be wiped out of the phone. Third security feature is if someone types a wrong password and tries to hack the password of the Smartphone it captures the photo of that person and then photo will be sent to a pre-defined secure number automatically. It packs a 3200mAh Battery with 3.0 Quick Charge feature. It can be charged upto 95 percent within 45 minutes. The company claims it can be used for 4 hours merely after of 10 charging. Micromax given a preinstalled Micromax Care App in it for customer support and also promised a 24hour service with 1 year replacement warranty on the handset without asking any question. Priced At : Rs. 24,999/- It will be available through Flipkart, on sale start from 10th of April, 2017.